Ever wonder what it’s like to drum with your whole body? 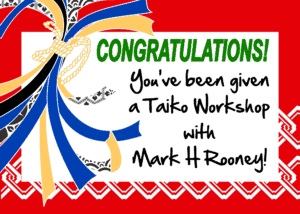 Come find out at Mark H Rooney’s introductory taiko workshop! 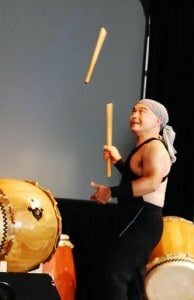 Taiko is a dynamic art-form based on traditional Japanese drumming practiced all over the world. 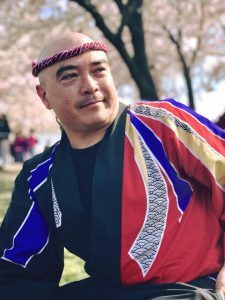 This workshop is designed to introduce the basics of taiko technique, practice of kumidaiko (ensemble drumming), awareness of ki (energy), use of koe (voice, history and philosophy — all while having a good time! No experience necessary, but come ready for a workout! This workshop is for ages 13 & up. Drums are provided. Contact HMT to register at workshops@hmtrad.com or 301-270-9090. Learn how to spin, throw and catch your bachi as a way to spice up your solo, performance or composition. Basic and advanced tricks will be taught as well as exercises for how to practice them. 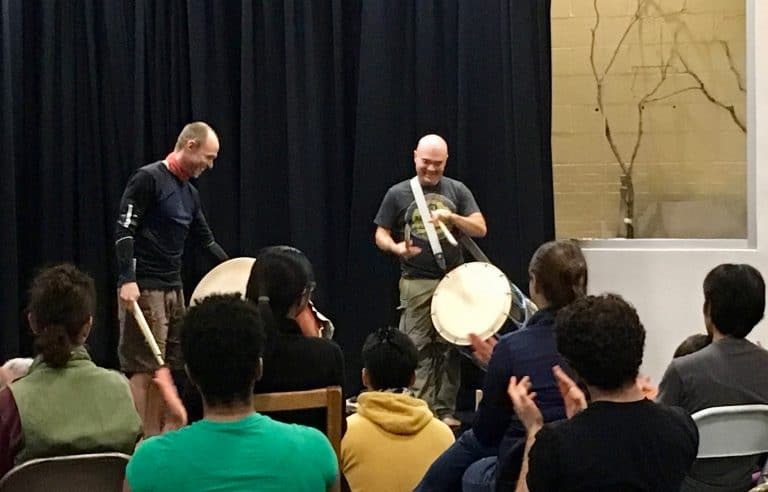 A taiko workshop with Mark H is the perfect gift! There’s no need to fight the crowds at the mall or guess someone’s size or favorite color – and no wrapping required! 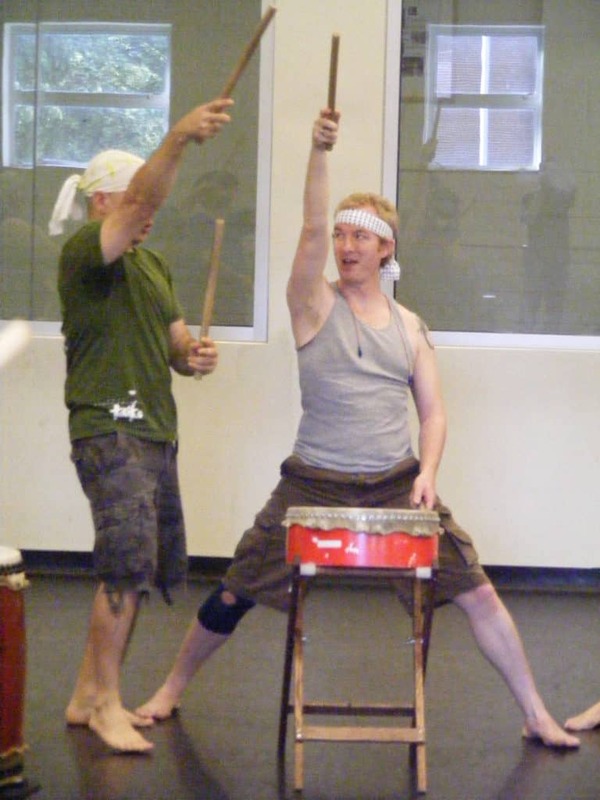 Know someone who’d like to try taiko for the first time? Mark’s Introductory Workshops are the perfect place to begin! Just choose the date that’s right for you (December 16th or January 13th). Is there a more experienced taiko aficionado on your list? Mark will be offering his signature Bachi Tricks Workshop in early January, and new classes are beginning in early February. No matter which workshop you choose, Mark will email you a beautiful gift card that you can print right at home, personalize as you wish, and give to that lucky person. Just email Mark H (markh@markhrooney.com) and cross another item off of your holiday to-do list!